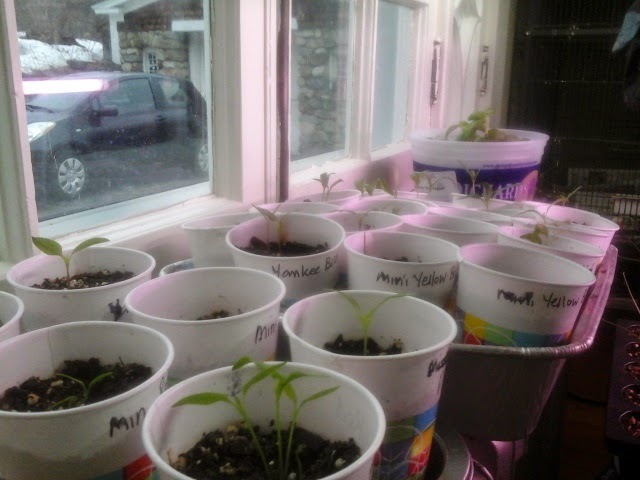 Spotty and slow germination of all the peppers. I re-planted a few of the empty pots. 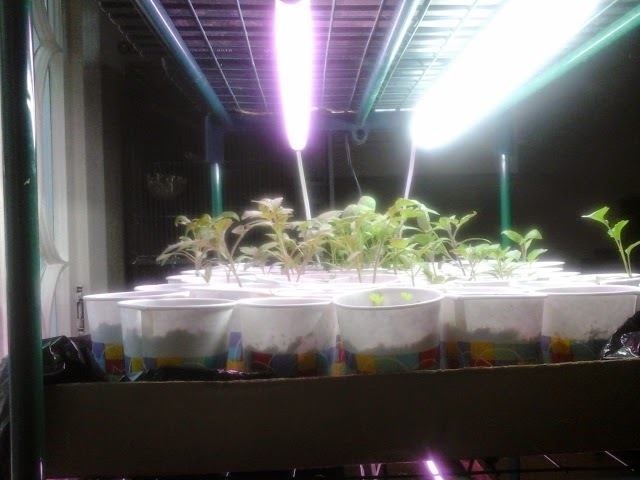 Tomatoes are looking happy. Celery (in front) are tiny. They take awhile to get going. Wallpaper removal. Slow and tedious. Some things just require patience. Seeds emerging from soil, snow slowly melting, winter ever so slightly turning to spring. Each in its own time, and on its own terms. There is nothing I can do to control how it all happens. I can only do my part-plant the seeds, give them warmth and light and water -and wait. 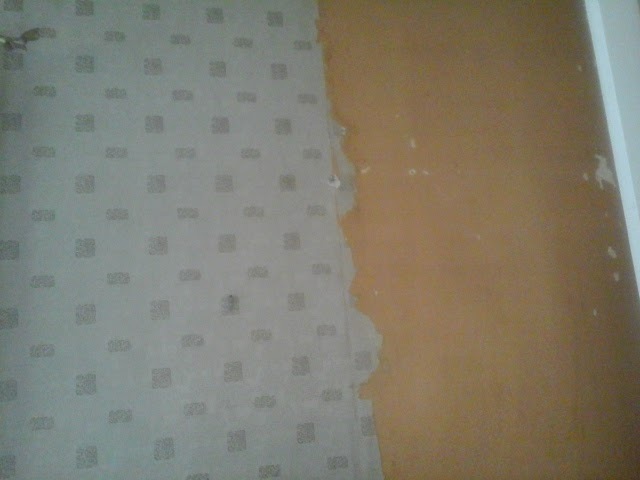 Yesterday's task was working on removing the old wallpaper from the living room. Old wallpaper covering even older real plaster walls doesnt come off easily. It is tedious work, and slow. But it does eventually get done. This is a lesson I have learned from competing in very long endurance races. Just keep movong forward, one step at a time, slow, incremental progress. I called upon that endurance mindset yesterday, and just kept plugging away at the wallpaper. It will get done. Being able to put a fresh coat of new paint color on these old walls will be the reward . Many of you probably already know that most, yes, that's right, MOST, of the extra virgin olive oil sold in your local supermarket, is NOT actually extra virgin olive oil. There is an incredible amount of money in olive oil, and so manufacturers have adulterated the expensive EVOO (extra vrigin olive oil) by adding lesser grade filler oils. These fraudulently labeled bottles of oil are everywhere on your grocery store shelves. And since the health conscious person is buying EVOO for its health benfits, it is indeed frustrating and maddening to find that what you have been paying premium price for, is not actually what you are getting. Fortunately, there ARE still some honest oils out there. Here is a link to a list of brands that tested out as the real deal. And, happily, many of them are not expensive! And here is a link for a story on what to look for when buying olive oil to get the best quality. It gives some helpful label-reading tips to try to find good oil anywhere.